Yeah, yeah, prerequisite cute kid photo. Again, this is using the flash bar. And again, I'm impressed by the quality of the flash fill system. These two photos were taken a mile from one another and I'm just a bit disappointed by them. 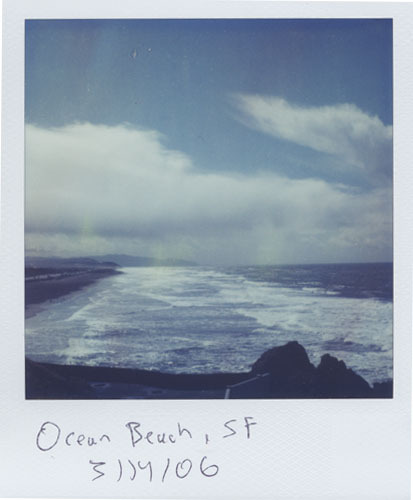 I always forget that I've never really taken a blue-sky shot with the SX-70 that I loved. Maybe I need to over-expose it a bit but the colors just feel a bit dull and you can barely make out the Golden Gate Bridge in the first of the two. I don't know what I could have done to fix it, except maybe shoot over the trees (which actually would have been impossible). The contrast is off too. As for Ocean Beach shot, that felt too dark to me too but had I exposed it longer, I think the colors would be even more washed out. I need to figure out how to take more effective landscape shots or just avoid them entirely. 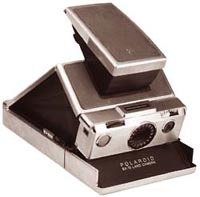 It seems like we have the "fetish": the sx-70 camera. Take a look .... maybe you'll like to join with some Polaroiods? Are you taking these photos with time-zero film or have you adapted 600 cartridges to fit? I have an sx-70, but like everyone else, have a little film problem... Can you comment? I found You by searching the SX-70. I think this camera is so great, and your photos too. If you don't mind can you tell me where can I get the SX-70? Thank you so much. 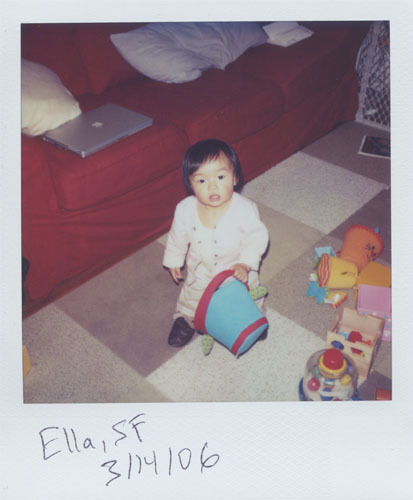 We're trying to get a movement going whereby we use polaroids as medium for messaging others. Check it out, if you like it maybe you could send us one to London, we've never got one from as far away as the states yet. 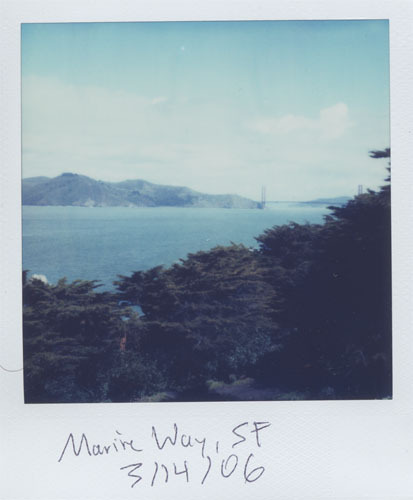 I've seen a lot of beautiful polaroid-magic, mostly taken with sx-70. My question is that are the current polaroid-cameras like one600 worth the bother? Or should I take the risk with sx-70? Could you tell me where can I get a brand new SX-70? I'm quite criticle to those bidding on eBay....Thank you! I'm a 13 year old girl here in the U.S. that has been wanting a SX-70 for around a year now. I've been doing more and more research and I found your blog by chance, and I must thank you for all the information here, it will help greatly as soon as I buy my own SX-70. If I'm not mistaken Time Zero film was discontinued 2006, so I have a question you might be able to answer, will all film be expired now at almost 2009? And is it posible to get brand new SX-70s anywhere? Thank you so much for the blog and in advance for the help.